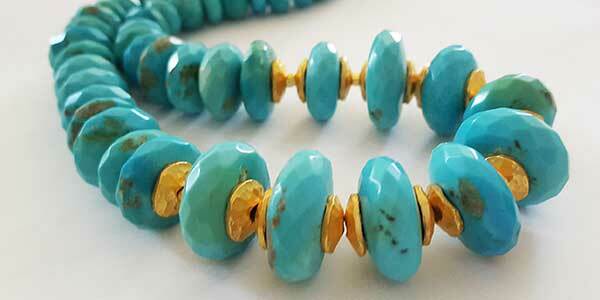 Try a Jewelry Making Class at Beadworks! Beading classes can teach you to make your own handmade jewelry for a fraction of the cost of buying it. Learn about the jewelry supplies needed as well as the core techniques. Beadworks is a full-service bead store, with a huge variety of gemstone beads and all the jewelry supplies one would need to design and create your own jewelry. We boast a knowledgeable staff and an in-house design table where anyone can come in to assemble a piece on the spot. This is also where we hold jewelry making classes and a range of beading parties for ages 9 and up. You need to register in advance for these beading classes but it’s fast and easy online. View our full range of Jewelry Making Classes and Register here. Wire wrapping is fundamental in jewelry making and will help you create a range of necklaces, bracelets and earrings. Our Introductory Wire Wrapping class covers how to link precious stones, gems, beads and/or charms as well as the more advanced technique of briolette wrapping. 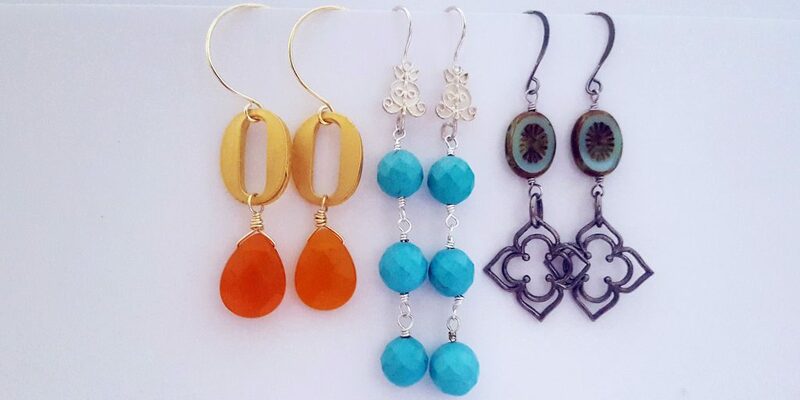 Each student will get to choose from a variety of colorful gemstones and beads to create three different styles of earrings. Want to make a necklace or bracelet but don’t know how? 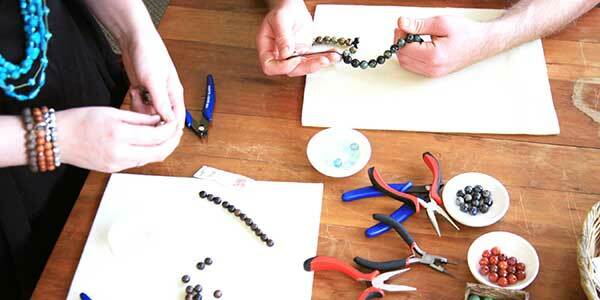 Our Introductory Bead Stringing class is the perfect springboard for your creativity. 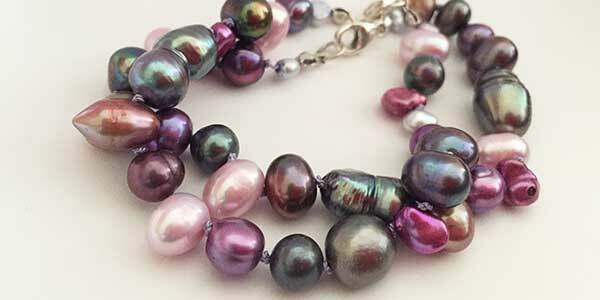 You will learn the basics of how to string beads and make a beaded necklace or bracelet from start to finish. We will teach you how to use beading tools and explain bead string options and jewelry findings as well as proper finishing techniques. By the end you will have created your own beaded necklace or bracelet! In Introductory Silk Knotting you will learn the traditional jewelry making technique of knotting pearls and semi-precious stones with silk thread. This style of jewelry is elevated and sophisticated with the mix of silk, semi-precious stones, and pearls. Not only is this a beautiful style of making jewelry but it’s so easy to learn. Your finished necklace or bracelet will be the first of many! Want to make a necklace, bracelet or earrings but can’t fit our class times with your schedule? 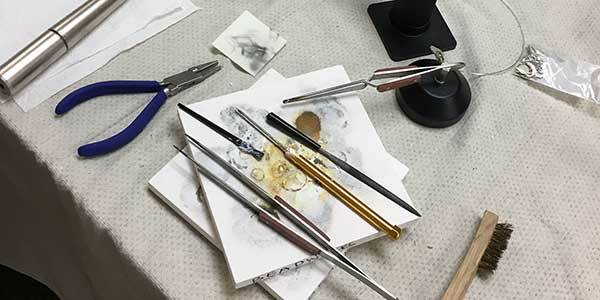 No problem, you can still learn how to make all the jewelry you can imagine with our private classes. Private lessons are the perfect opportunity to learn jewelry techniques in a one-on-one setting or receive help on completing projects. Sometimes called a yoga bracelet, wrist mala or Buddhist prayer beads, these bracelets are wonderful for meditation and focus. Craft your own Buddha bracelet while learning the traditional skill of silk knotting. Chose your own gemstone beads and coordinating tassels. 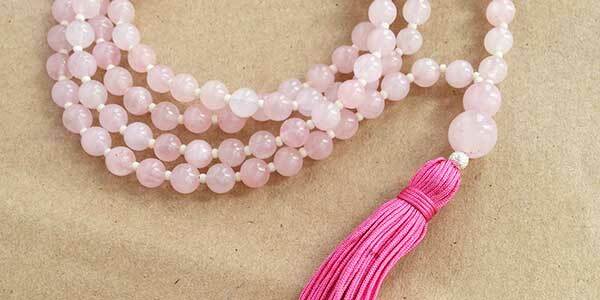 Many people are including prayer beads or malas in their pursuit of a more mindful life. 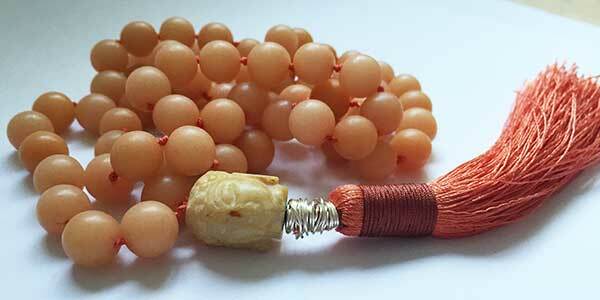 Buddhist Mala beads are a string of beads used in prayer and meditation. Traditionally a necklace is composed of 108 beads and finished with a guru bead and tassel. Come create your own for spiritual or fashion purposes – it’s up to you! Silversmithing is the art of turning sterling silver into jewelry. This workshops teaches the fundamentals of making jewelry including the use of a jewelry saw, metal forming as well as torch jewelry soldering. You will learn all these skills along with finishing techniques in the creation of a set of stacking sterling silver rings. 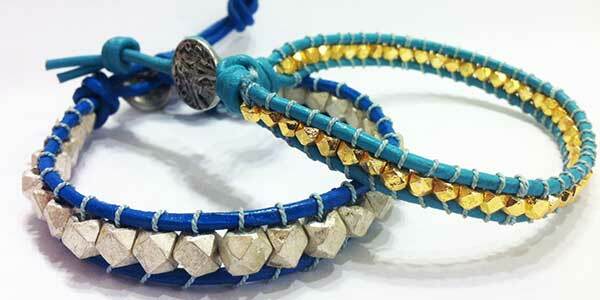 California jewelry designer Chan Luu pioneered a new style of beaded leather wrap bracelet. Take that inspiration into new combinations of gemstones, leather and metal! Learn the super-trendy and adaptable bead weaving technique necessary to make a single wrap leather bracelet embellished with gemstone or glass beads.